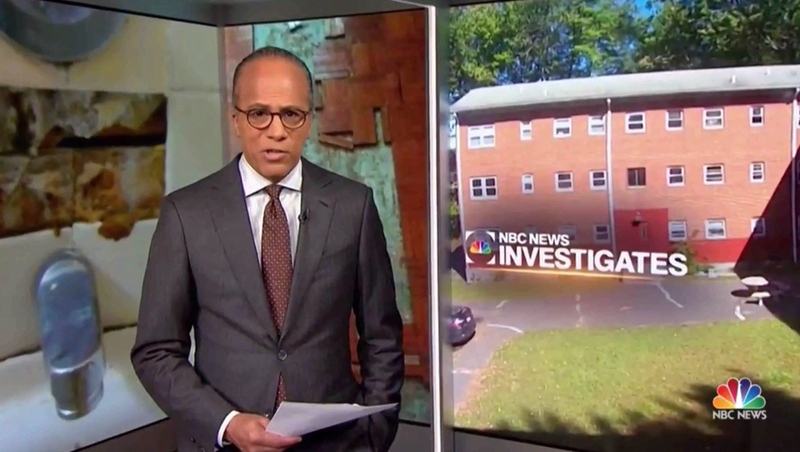 Although the branding and logo have been used for years, “NBC Nightly News” has developed a more cohesive look for its investigative reporting. 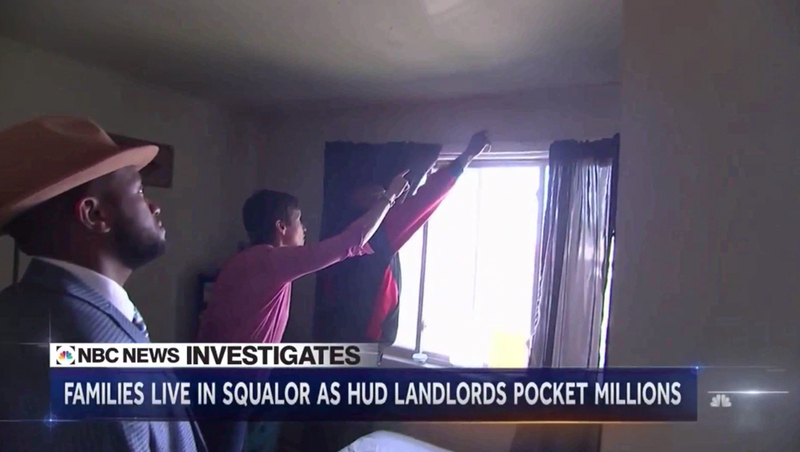 For Wednesday’s report on HUD landlords that profit from nearly uninhabitable housing, anchor Lester Holt introduced the story from Studio 3A’s vista wall alcove with the ‘NBC News Investigates’ logo that’s been around for some time now. The design places the NBC peacock inside of a circle-square element. A gold laser line, which typically appears under the text on the ‘Nightly’ video wall backgrounds, is also used. 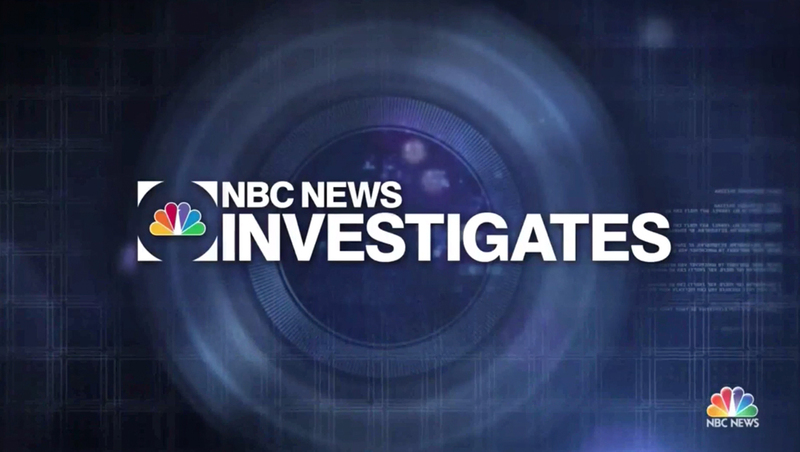 The latest investigating also included the logo on a white gradient perched on top of the newscast’s standard banners — with the word ‘investigates’ enlarged. The look also includes a stinger in deep blue with a camera-lens inspired motif. In select markets, NBC O&Os also use the branding “Investigates” for its investigate units — including Chicago and San Diego — along with the similar “Responds” branding for consumer reporting. The branding isn’t consistent, however, including at the network’s flagship WNBC.